It is with great sadness that we report that today, Monday January 8, 2018, the Secretary of Homeland Security, Kirstjen M. Nielsen, has formally decided to terminate the Temporary Protected Status (TPS) designation for the country of El Salvador. This decision is extremely upsetting given that Salvadorans were among the largest group of foreign nationals receiving temporary provisional residency permits under the TPS program in the United States. The consequences of this decision are even more troubling considering the plight that Salvadorans face in their home country. For more than a decade, the country of El Salvador has been plagued by soaring gang violence, drug trafficking, human smuggling, and an endemic rate of violence against women. Per today’s statement issued by the Department of Homeland Security, the TPS designation for El Salvador will officially terminate on September 9, 2019. This means that the Department of Homeland Security will give Salvadorans a period of 18 months, before terminating their provisional residency permits on September 9th, to allow Salvadorans to make an orderly departure from the United States or to seek alternative legal means to remain in the United States. According to the Washington Post, the United States has issued approximately 200,000 provisional residency permits to Salvadorans, many of whom have been living in the country since 2001. Salvadorans were first given Temporary Protected Status in 2001 when a series of large earthquakes devastated the impoverished country. Since 2001, the United States government has renewed their temporary permits on an 18-month basis. According to DHS, the Department’s decision to terminate the TPS designation for El Salvador was, “Based on careful consideration of available information, including recommendations received as part of an inter-agency consultation process” at which time the “Secretary determined that the original conditions caused by the 2001 earthquakes no longer exist” resulting in the termination of the country’s designation. The DHS statement alleges that since 2001 El Salvador has received significant international aid to improve its infrastructure, and has already completed reconstruction of schools, hospitals, homes, damaged roads, and other infrastructure. According to the DHS statement “the substantial disruption of living conditions caused by the 2001 earthquake no longer exist.” In addition, the secretary confirmed that the government of El Salvador has demonstrated that repatriation of individuals back to El Salvador is now possible. 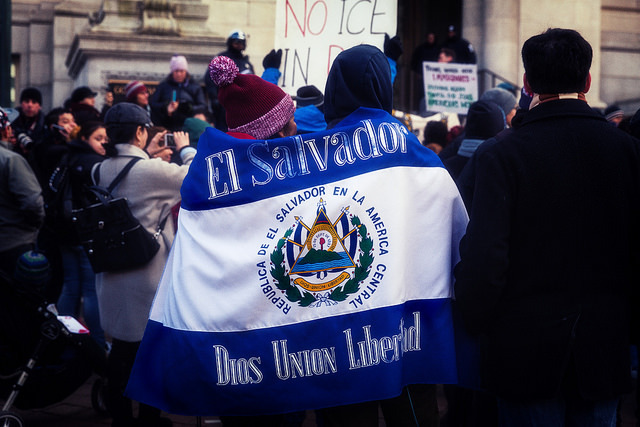 During the next 18 months, Salvadorans with TPS must arrange for their departure from the United States or seek alternative lawful immigration status in the United States if eligible. During this period of time, the government of El Salvador will also prepare for the return and reintegration of its citizens into society. DHS ends their statement by calling on Congress to “legislate a permanent solution addressing the lack of an enduring lawful immigration status of those currently protected by TPS who have lived and worked in the United States for many years.” The 18-month delay will also give Congress enough time to craft such a legislative solution. Salvadorans with TPS must re-register for TPS and apply for Employment Authorization by filing Form I-765 in order to continue working in the United States until September 9, 2019, when El Salvador’s TPS designation will be officially terminated. To discuss any alternative lawful means to remain in the United States, please contact our office.